Note: This is a controversial topic in Germany, so if you know someone who would like to come on and present the opposing view (Pro-purity law) I would certainly be willing to consider it for an upcoming podcast to present the other side. Just drop me a message from the contact us link. Today my guest is Rory Lawton. Rory is a writer living in Berlin, Germany who has been campaigning with a small number of brewers to challenge the German Beer Purity Laws. While Rory is a critic of the law, he is a strong advocate of German Brewing traditions and German brewers in general. These laws have a long tradition in German brewing and are widely supported by the German Brewer’s Association and also the general public, so any talk of altering or loosening them is very controversial. However over the years several breweries have challenged various aspects of the law with mixed success. We start with a discussion history and the beer Purity Law’s 500th anniversary which was just marked in 2016, and started in Bavaria in 1516. Rory shares his thoughts on some of the “myths” versus facts surrounding the law, and we discuss how many historical beer styles and techniques actually have a more complicated history than is commonly known. We discuss how the Purity law has evolved over time as minor changes were made to include ingredient such as wheat and yeast. Brewing techniques have also evolved rapidly in recent years, so we talk about what is and is not allowed in modern German beer production. We discuss the interesting fact that imported beer can be made in virtually any way (due to EU trade laws) but German beer is subject to the Purity Law if it is sold for internal consumption. We discuss some of the recent legal challenges and how some brewers are pushing the limits of ingredients and techniques. We talk about the US craft beer revolution versus the German small craft brewing tradition. Rory shares his thoughts on the recent UNESCO world heritage bid to establish the Purity laws as a world heritage site and some of the reasons it failed. We both acknowledge the incredibly heritage of the German Purity law and why it is important to defend and protect the traditional beer brewing culture. Rory shares his closing thoughts on the subject. Thanks to Rory Lawton for appearing on the show and also to you for listening! Some of the rich contributions that Germany gave to our brewing heritage over the last centuries are listed at the bottom. These have nothing to do with the Purity Law, of course! An interesting listen. Regardless of the historical accuracy of the purity law, the law has had immeasurable impact on quality of beer and beer culture in Germany. Whilst they suffered some of the the all too common damage of consolidation and big business, quality small and regional breweries prevailed and persisted. I have been listening to your pod cast for a while as we use the software and it is a gold mine of information without all filler that one may find elsewhere. This episode caught my eye in particular as we are one of the four American-run breweries in Berlin. We have known Rory for a while now; he is very knowledgeable and did a great job dispelling misinformation and summing up this topic, which seems to be discussed in beer circles almost daily here in Berlin. As Rory alluded to, the craft beer scene here is small but very dynamic, primarily in Berlin. We are excited to be part of it, especially regarding the blending of two cultures: protecting the old and pushing the envelope of new styles and interpretations of the old, which we do often with our beers, Broyhan, Berliner Weisse, Gose, and soon a Berliner braun bier based on a recipe from Ron Pattinson. Keep up the great work! 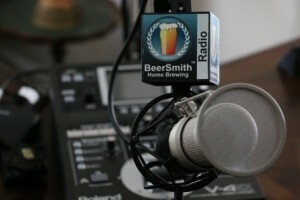 We’ll be listening, and if you are ever interested in the Berlin beer scene, for the pod cast or just personal interest, feel free to contact us.